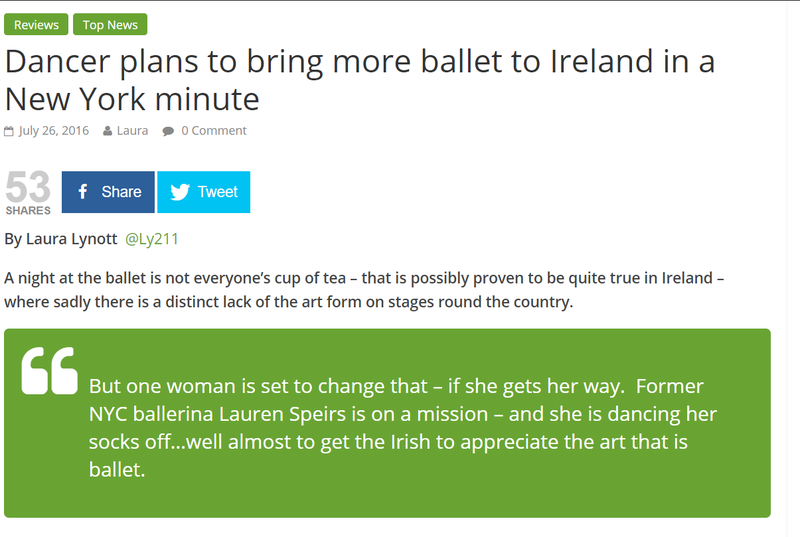 Ballet project [d] founder Lauren Speirs was recently interviewed on Good Morning Dublin on Dublin City fm radio station. 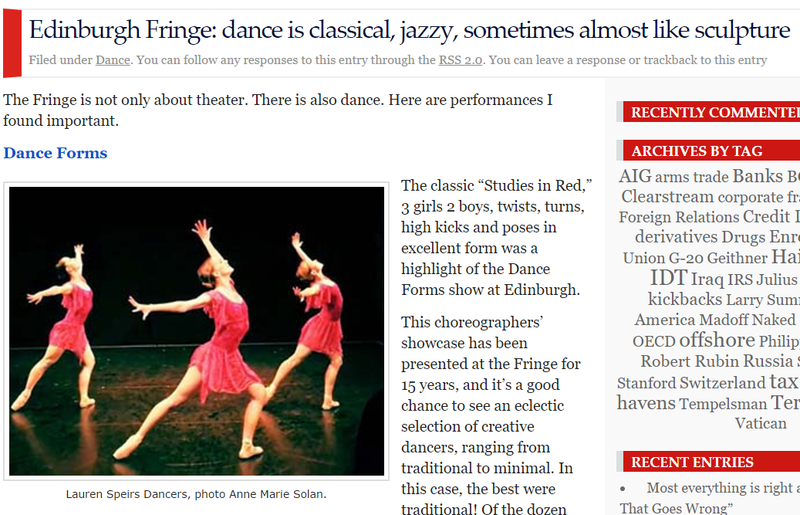 She spoke about ballet project [d]. several upcoming shows, and a few more exciting things going on around Dublin's arts scene. The interview is available to stream online - give a listen! Sometimes, when an opportunity is missing, you just have to create it. That’s precisely what 27-year-old Lauren Speirs did when her fiancé’s job brought them to Dublin, Ireland, in 2014, and Speirs found the dance scene to be somewhat lacking. 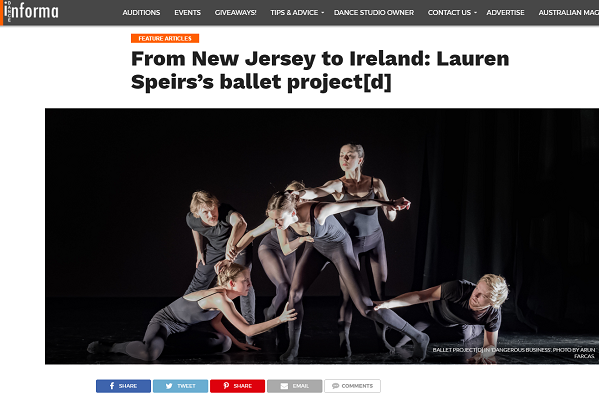 Having had a busy dance life back home in New Jersey – studying with former American Ballet Theatre star Susan Jaffe and Risa Kaplowitz at Princeton Dance and Theater Studio, and freelancing with companies throughout New York – Speirs felt eager to contribute to the arts landscape in Ireland. Choreographer Lauren Speirs, who also danced in the piece, uses Philip Glass’ “The Hours” to set the mood, and the mode, which is on toe. The other very good performers are by Clare Bassett, Nicole Fedorov, Diamaid O’Meara, Gearoid Solan. Illuminated Passages recently received a strong review from Laura Lynott of Ireland Today. Lynott caught the group’s performance at the Dance House in Dublin, and then caught up with Lauren Speirs to talk about the challenge of being one of the only ballet companies performing in Ireland.